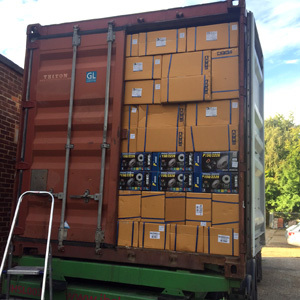 Another P-Audio delivery meant unloading 1,100 cartons of speaker components weighing a total of just under 7 tons. A quick 1.5 hour workout for our staff got all of this unloaded in record time, whilst working up a bit of a sweat. Lots of popular horn flares back in stock, with some virtually selling out in the first day. 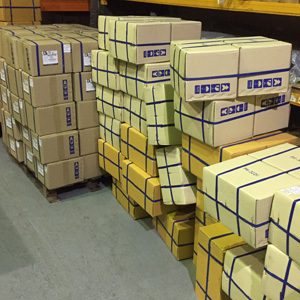 We had over 50pcs of the PH-2735 delivered, with just a handful left unsold by the next day. 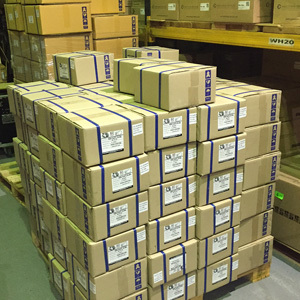 We’re now shipping P-Audio all over Europe. 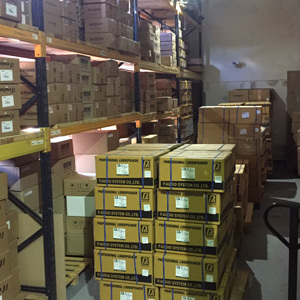 If you’re a dealer, retailer, installer, speaker cabinet builder, or anyone else who needs speakers, get in touch as we’re sure we’ve got some products for you.